Upon arrival to the Rochester region five years ago, the sense of community was striking. The collective emotions that are usually reserved for a small town were quite apparent despite a population approaching 1.1 million. The metropolitan area exuded a strong awareness of place, and the populace was remarkably engaged. But can this sensation be quantified, or is it merely an anecdotal observation? According to 2012 data from the Pew Research Center, Rochester's local newspaper, the Democrat and Chronicle, has the largest market penetration of any newspaper...in the country. This metric, which measures the percentage of metro area adults reached by print or online in the course of a week, indicated an impressive 75% market penetration. The nearest competitor was a distant second at 68%. As far as I know, there is little downside to an educated, knowledgeable group of people. It's safe to say that the national perception of Rochester (if one even exists) does not include wine. There is no way that Rochester, which can resemble the Kingdom of Arendelle in the movie Frozen, can make wine. Right? New York State is a top 4 wine producing state, and the Finger Lakes region is the largest wine region in the state. 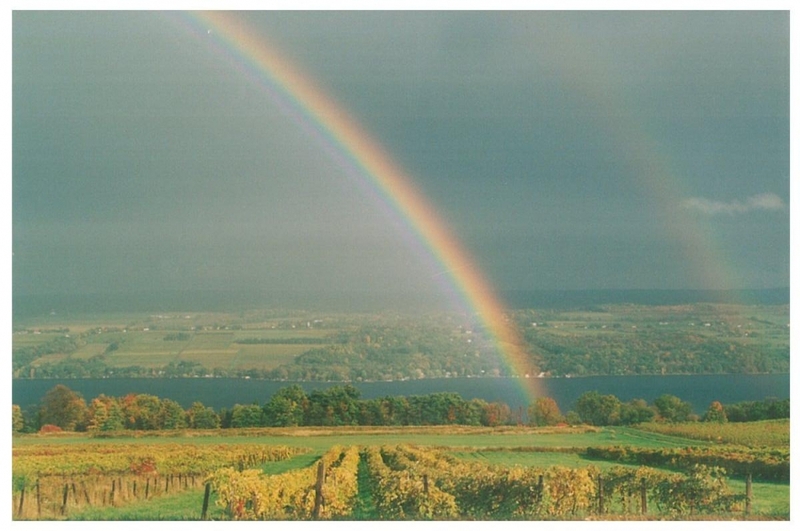 The Finger Lakes region consists of well over 100 wineries. 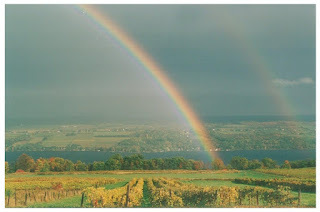 Food & Wine magazine lists the Finger Lakes as one of the seven best Riesling regions in the world. Two Finger Lakes wineries, Ravine Wine Cellars and Hermann J. Weimer Vineyard, were named Top 100 wineries in 2014 in a global ranking by Wine & Spirits magazine. Despite being mislabeled as unable to make red wine, the region regularly produces Pinot Noirs with Wine Enthusiast ratings of 88 and 89. TripAdvisor has previously identified the region as the 4th best wine destination in the U.S.
Well worth a read is Evan Dawson's captivating book about the region, Summer in a Glass. 1500 artists from 18 countries outside the U.S. The U.S. and Puerto Rico have 388 Metropolitan Statistical Areas (MSA's). With almost 1.1 million people, the Rochester MSA is the 51st largest. In other words, 337 MSA's are smaller. The Rochester MSA would be the largest MSA in 20 states. The Rochester MSA is larger by population than 8 states. The Rochester, Buffalo, and Syracuse MSA's combined have almost 2.9 million people, more than 16 states. The city of Rochester, with a population of perhaps 209,983, would be the second largest city in New England after Boston. According to a report by the Corporation for National and Community Service which looked at data from 2010-2012, Rochester had the second highest rate of volunteerism (35.1%) among 51 large metro areas. What makes this statistic even more impressive is that 2013 data showed New York State to have the second lowest rate of volunteerism among all states. Having lived in downstate New York, it's obvious that just getting to work and worrying about what you're going to buy at the mall can be quite time consuming. The United Way of Greater Rochester exceeded its 2015 fundraising goal. For perspective, the $24.3 million raised was more than the Buffalo and Syracuse areas combined. As seen previously, health care in Rochester is particularly efficient. The Democrat and Chronicle recently provided another key piece of information which solidifies the region's ability to portray itself as a model for the rest of the country. Using data collected by the Institute of Medicine, the Niagara Health Quality Coalition identified Rochester as having the fourth lowest health care costs in the nation out of 274 regions studied. This ranking was based upon the amount that commercial health insurers pay doctors, hospitals, and other providers. Given the complexity of healthcare payments, many caveats exist to these findings...the more I read, the less I understand. With that said, low payments made by the insurance company do seem to translate into reasonable premiums for customers. 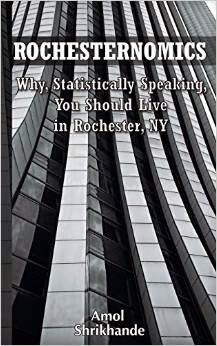 In 2010, my wife and I moved to Rochester, NY. This move was not prompted by necessity, family, or another involuntary factor. We were community physicians, and we could have taken our trades essentially anywhere. Between the two of us, we had lived in New York City, Boston, and Washington D.C. We knew a total of zero people in Rochester. Why then would we leave the BosWash corridor for a much maligned city on the fringes of the Rust Belt and in the heart of the Snowbelt? Because our research had revealed a surprising phenomenon. We had not discovered the dying industrial region that is portrayed by popular perception. To the contrary, we had uncovered a progressive history, artistic excellence, remarkable ingenuity, elite (suburban) public education, and economic determination. How, we asked ourselves, could such an enriching region have such a marginal reputation? We have since termed this discrepancy as the Rochester Phenomenon. While the Rochester Phenomenon has a certain charm, the future of this region depends in part on bridging the gap between perception and reality. It is hoped that this blog can contribute to this process, if even in a miniscule way.